The Wachowskis are among the most exciting directors currently working. While ironically I consider their Matrix trilogy to be their least interesting work, all that has come afterwards have pushed the boundaries of mainstream cinema, making them a rarity, two great experimentalists within the narrow confines of blockbusters. So obviously their films are big box office flops, one after another. Speed Racer was a monument of bubble gum pop art. Cloud Atlas was a wonderfully affecting and ambitious epic film that never took itself too seriously, having a lot of fun with the artifices of cinema. Jupiter Ascending might have appeared more conventional when it was announced but turns out to be none of the sort. In Jupiter Ascending, Jupiter Jones (Mila Kunis) dreams of a better life, stuck in her routine as a cleaning lady, with her loving but overbearing family. Little does she know that her genetic signature means a destiny beyond the stars as well her the target of three alien feuding siblings with nefarious plans for planet Earth. 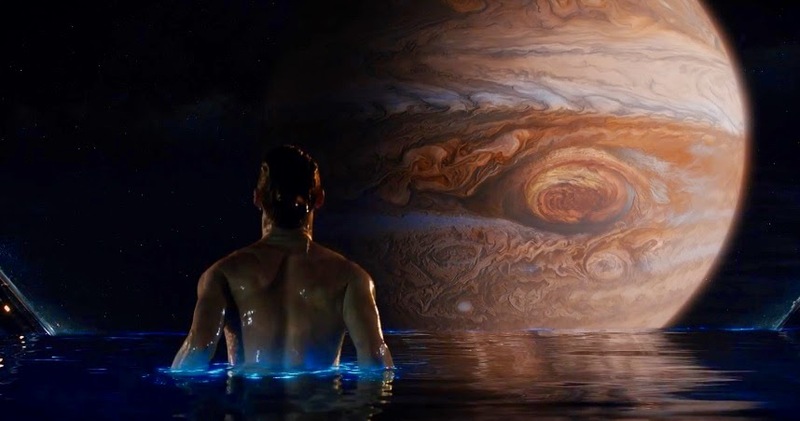 Jupiter Ascending further reinforces the outsider status of the Wachowskis, who here deliver an exhilarating and exquisite space folly, that is surprisingly involving and enormous fun. The prologue, with its sad romanticism, feels like a nod to Cloud Atlas. Proving that they still have the knack for it, the Wachowskis deliver some of the most exciting action scenes of recent memories and some fantastic set pieces (the chase in Chicago on the ground and in the air, the "eye of Jupiter" section...). The art direction is an absolutely delight. Some have mentioned The Fifth Element as a reference, which makes sense as both take their inspiration in the rich yet currently untapped French 70's/80's sci-fi graphic novels, that were at once more adults than their American counterparts but also goofier in their design, and with which the films shares a certain queer/punk sensibility, far away from calibrated contemporary sci-fi blockbusters. 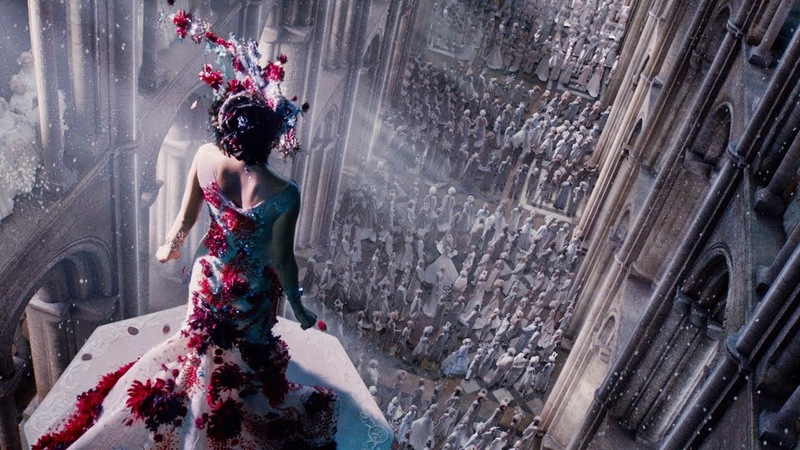 It has to be said that Jupiter Ascending is considerably more stylish and exquisite than the Luc Besson's film, with several beautiful images that have stayed with me since. 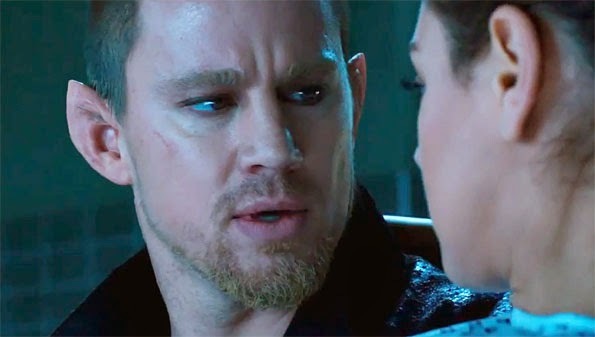 Channing Tatum is completely in tune with his director's universe, eschewing a modern alpha male take on his character and delivering instead an understated performance filled with timeless and tender masculinity. While he guides and protects Mila Kunis, she is very much the lead in this, making her own, (and sometimes difficult) decisions, and this is yet another refreshing aspect of the film. So of course the script is a bit of a mess, but this is not meant in a negative way, such is the overflowing imagination of the directors that explodes with fireworks in every direction with ideas. And the social subtext might be a bit obvious but is a welcome touch nevertheless. The Wachoswkis are treating cinema like a sandbox in which to let their imagination run wild, and the sad box office failure of their latest is a further nail in the coffin of wildly inventive cinema.